Deck up your sweet princess in this trendy top and dazzle the crowd. 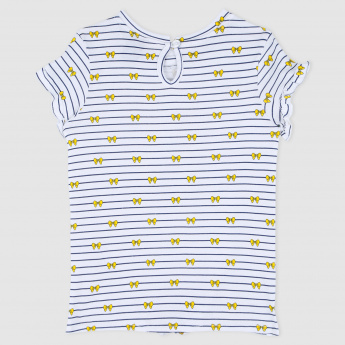 The soft fabric is long lasting and gives a comfortable fit to the body. 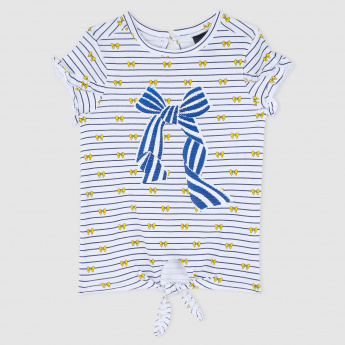 Featuring a bow detail on the front, this top is one of its kind and a must have for your child.